Intel will release it’s 8th Generation ‘Cannon Lake’ processors coming in mid-2017. 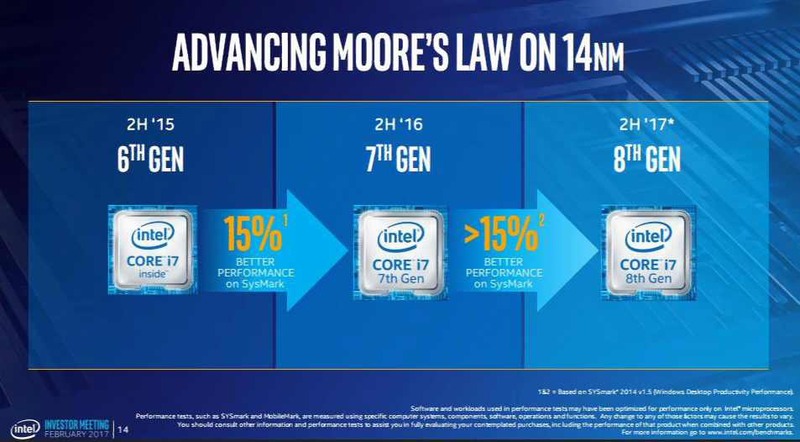 Intel’s next CPUs will be based on Cannon Lake and once again will be a 14nm series. Cannon lake will be an optimized version of 14nm. It will be the 8th generation Core series processors. According to the Intel, Cannon Lake would be 15% faster opposed to 7th-Generation Kaby Lake processors. Intel also pushed Coffee lake (6-core mainstream processors) back to 2018. The new quad-core Cannon Lake processors are planned for the second half of 2017.